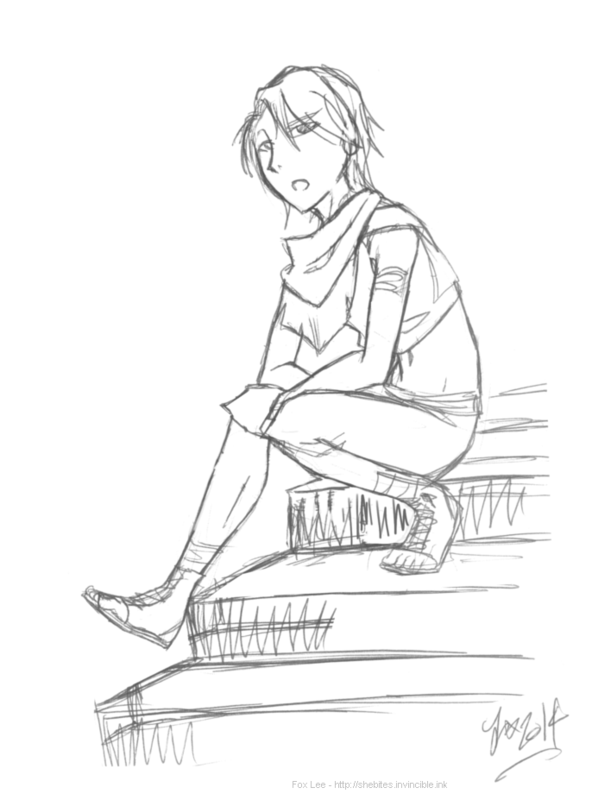 It's Rafe, the other protagonist from Talen's 2014 serial, One Stone! His design is still a bit up-in-the air; we're ultimately not sure if he should be wearing scraps and slightly underdressed, like this, or having a bit more of a monk robe going on (he does live somewhere rather cold, after all!). Anyway, even if it winds up changing, I like this pic. He looks nice and grouchy.